Call it "post-rock action". Rather than picking up where their last album (Come On Die Young) left off, Scotland's Mogwai seems to have sensed a rut developing, and re-tooled their sound to take on new directions. 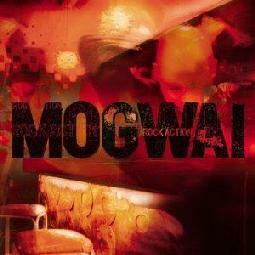 As a number of the noise noodling bands of the 90's seem to be doing, Mogwai develops tighter song structures, with more melodic qualities to them on Rock Action. They also work hard at varying the sound of their compositions and bringing more instruments into their sonic palette (including strings and banjo), to create a lusher work. They still throw in some of the noisy textures they are known for, such as on the opening number Sign Wave, which makes for a perfect introduction to the rest of the album. Noise also gently undercuts the beautiful strings and passionate vocals of Take Me Somewhere Nice, showing the band taking a direction similar to Iceland's Sigur Ros. Dial: Revenge is a particular revelation, with its folky fingerpicked guitar and haunting Welsh vocals. The band stretches out on a few longer tracks too, like the intense, guitar-driven instrumental You Don't Know Jesus, and the wonderful, soaring and symphonic 2 Rights Make 1 Wrong. Despite it's lusher sound, Rock Action still has a very spacious and organic feel to it. Dispensing, it seems, with titles concerning youth, it would seem that Mogwai is maturing, which is good news, because after their first album (Young Team) I thought they had a lot of potential. It's nice to see them finally fulfilling it. Released as a companion piece to Rock Action, this EP contains one 20-minute instrumental blow out that doesn't sound like anything else on its companion album, or, for that matter, anything like the Scottish group has done before. After an almost tortuously slow fade-in, My Father My King steadily builds and builds it's layered guitar sound, borrowing its melody from a Jewish Rosh Hashanah hymnal. The sound becomes big and wild, peeking before diving into a deep trough again and slowly building once again to a blistering climax of noise and feedback that is suddenly cut off, leaving the listener just a little bit breathless. The whole thing is like a cross between Godspeed You Black Emperor! and Sleep's epic sludgefest, Jerusalem. If you can take it, it's highly recommended. 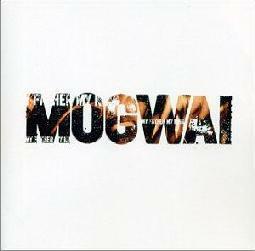 For more information you can visit the Mogwai web site at: http://www.mogwai.co.uk/. Visit the Matador Records web site at: http://www.matadorrecords.com/.